Looking Gorgeous and Feeling Fabulous! Every girl loves a day at the salon for pampering, but due to time, your budget or maybe you haven’t found a salon professional you trust just yet, sometimes we have to take matters into our own hands. Just because you’re coloring your hair at home, doesn’t mean you have to settle for box hair dye and dull fading color. You don’t even have to spend a small fortune to get salon results at home, either. All you need is a Sally Beauty Supply store and if you don’t have a store near you, you can order everything you need from their website. 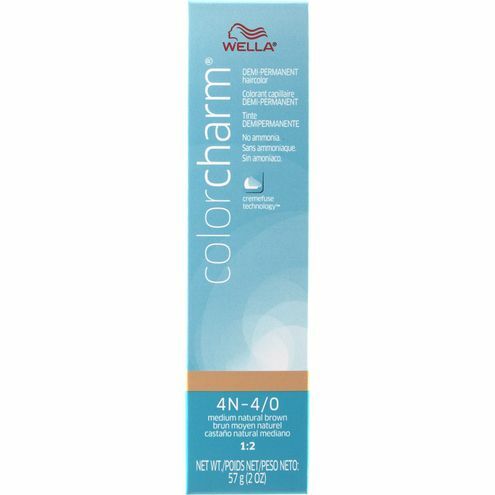 The best hair color I have ever used, including salon professional hair color from the salon, is Wella Color Charm Demi Permanent Haircolor which you can purchase from your local Sally Beauty Supply store for $5.99 ($4.99 if you are a Sally Beauty Club Card holder). I recommend this hair color to everyone except those trying to cover more than 50% of gray hair (this demi hair color only blends and covers up to 50% gray hair). I would, however, recommend Wella Color Charm Gel Permanent Haircolor for those who need over 50% gray coverage as Wella’s permanent hair line is just as great as their demi hair color. You might be wondering why you should use demi hair color instead of semi-permanent or permanent hair color. It is because demi color is excellent for damaged hair and it will not damage your hair any further when using this dye. It is longer lasting than semi-permanent and less damaging than permanent hair color. Demi-permanent hair color is a growing hair color category that combines some of the best advantages of both. It is ammonia-free, so it cannot lighten hair, but it is a versatile hair color solution that meets real-world needs and expectations—it is easy to use, long lasting, non-damaging and delivers beautiful results! You can use demi-permanent hair color to enhance your color, blend and cover up to 50% gray hair, refresh permanent color, and it can also add amazing shine to your hair with or without color. Wella’s Color Charm Demi Permanent Haircolor lasts four-five weeks without fading on my fine, long hair. And because my hair is the color I want it, I now only color my roots. If this is your first time using this hair dye, I would recommend coloring all of your hair, after you decide what color is best for you (doing a strand test first), and then only coloring your roots going forward. Wella’s Color Charm Demi Permanent Haircolor should be applied to clean dry hair. CAUTION: This hair color tends to deposit color two shades darker so I would use a color that is two-three shades lighter than your goal and always do a strand test on your hair if this is your first time using this hair dye. For reference, I use 4N Medium Natural Brown and my hair always looks like I used 3N Dark Natural brown to almost black (my hair definitely isn’t black, but it is the darkest brown color which can look almost black in pictures and videos). REMEMBER: Color does not lift color. If you have previously colored your hair and wish to go lighter, you will need to remove or pre-lighten the existing color using a lightener or color remover (I highly recommend a salon professional for this). 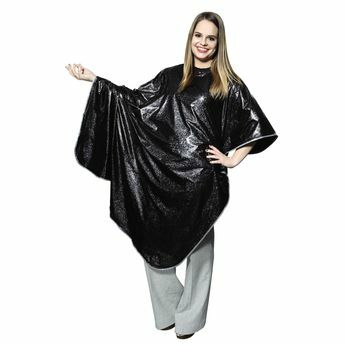 Step one: Make sure you’re wearing an old shirt that you do not mind getting hair coloring on or put on a Salon cape over your clothes to protect them. 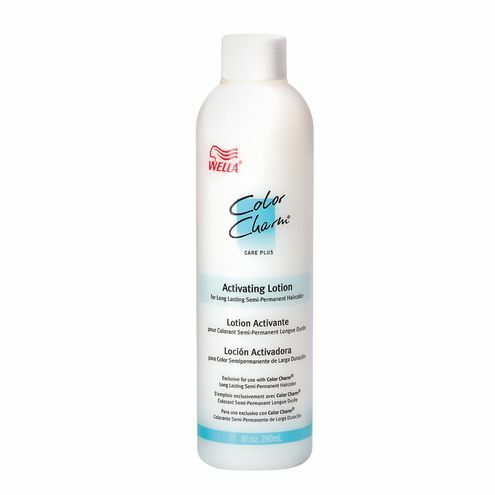 Step two: Put on your Latex Gloves and add 1:2 mixing ratio – Add part 1 Wella Color Charm Demi Permanent Haircolor and 2 parts Wella Color Charm Activating Lotion into your applicator bottle and shake it up until it is mixed well in the bottle. Step three: Use a comb to separate your hair into four different sections. 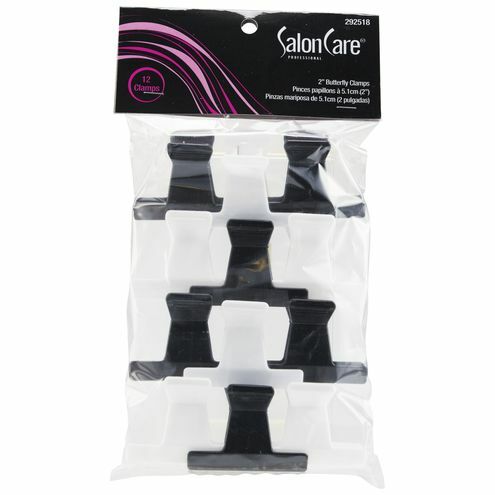 Use your Hair clips to hold the sections apart which will ensure that you don’t miss a patch of hair when coloring. – Take a medium triangular section on top of your head and clip this section. This section should be at an angle and set back slightly from the hairline. – Take a large triangular section at the back of your head around the occipital bone and clip this section. – Take a small triangular section above each ear and clip both sections. Step four: Apply the hair color to your hair in sections. Break each section up into smaller subsections as you work to make sure your color is more thorough throughout this process. Always begin at your roots to get the most uniform color. Work the hair color well into your hair strands, working from your roots to your ends. 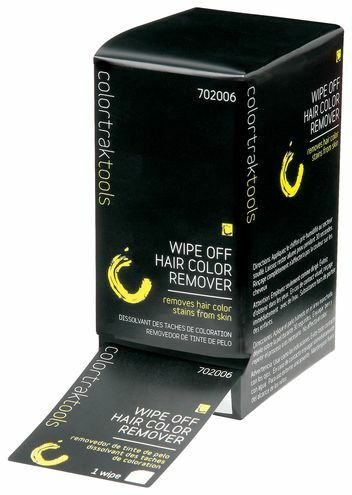 Use the Wipe off color remover if you get any unwanted hair color on your skin. Step Five: Set a timer for the amount of time is says on the tube. Wella Color Charm Demi Permanent Haircolor directions say to leave the coloring in your hair for 20 minutes. If you want a really rich looking color, it is OK to leave the color on longer, up to 30-40 minutes. Step six: Rinse your hair until the water runs clear using shampoo and conditioner. After you rinse your hair with shampoo and conditioner, apply your deep conditioner and leave it in your hair 5-minutes longer than the directions recommend before rinsing it out, giving your hair a really good conditioning treatment after you color it. Step seven: You’re done! Style your hair as you normally would. I always recommend adding a little hair oil or other heat protectant products before styling your hair, when adding heat, to protect it. The finished product: beautiful shiny hair with long-lasting hair color you will love! If you have any questions about coloring your hair with Wella’s Color Charm Demi Permanent Haircolor, please leave me a comment. Thank you so much for reading, loves! If you’re new to makeup, don’t wear a lot of makeup or if you’re a makeup junkie like me, you have to try MAC Cosmetics Melba blush. 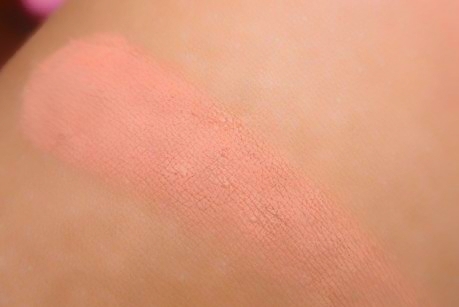 It is very blendable and so easy to apply; you just can’t go wrong with this blush. 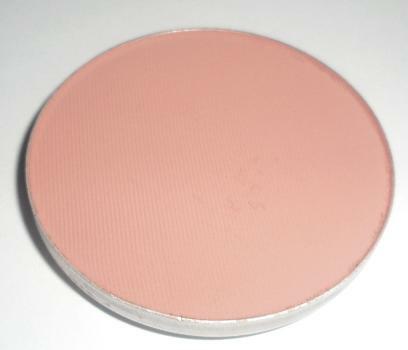 Melba is a matte blush and MAC describes it as a soft coral-peach color. I would describe it on my cheeks as more of a dusty peach-pink color. It is the perfect shade that will look amazing on every skin tone: fair, light, medium and even darker skin tones. The color is buildable, the texture is smooth, it is very pigmented and it lasts all day without irritating even the most sensitive skin. 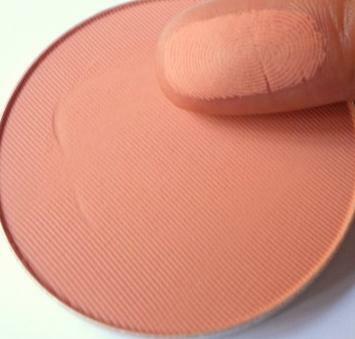 This blush also looks great in pictures with or without the flash. It is a great shade year-round and neutral enough to wear with all different makeup looks and it will even look great on bare skin to give the perfect natural flush look to your cheeks. If you’re going to try just one blush or you’re looking to add another blush into your collection, I highly recommend this blush to everyone and I personally wear it almost every day. It looks boring in the pan, but I promise, you will not be disappointed. Spring is just around the corner, which means it’s time to say goodbye boots and hello sandals! But before you show off your toes, you probably need to get them ready for their debut. We all know the cost of professional pedicures can add up quickly which is why I am going to give you a few essential pedicure tips so you can give yourself a salon-perfect pedi at home. Fill your bathtub with warm water and add a bath salt that will help you relax while you soak your feet for 10 to 15 minutes or until your feet have softened for easy removal of dry skin. 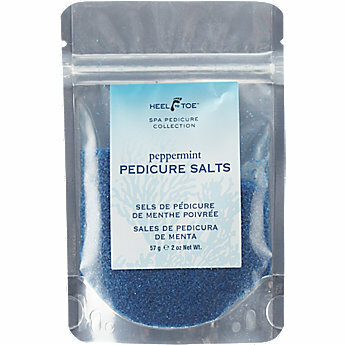 I recommend Heel to Toe Peppermint Pedicure Salt which can be purchased at Sally Beauty for $3.99 which helps to soothe and relax tired feet and it’s infused with peppermint for aromatherapy which will help you relax. After soaking your feet, you can start clipping your toenails. When clipping your toenails make sure you cut them evenly and equally, angling your clippers in the same direction. 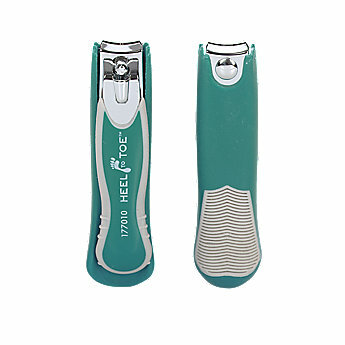 For clipping your toenails, I recommend Heel to Toe Sure Grip Toenail Clipper which can be purchased from Sally Beauty as well for $3.29. Before you start to file, dry off your toenails. Position the file under your nail and file gently with even strokes, never going back and worth as this can damage your nails. 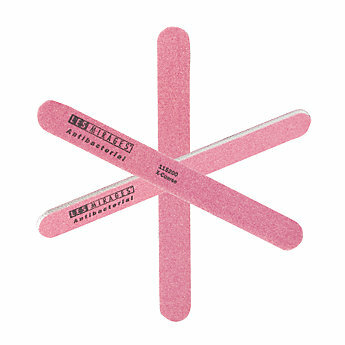 I recommend Les Mirages Antibacterial Nail File which helps provide protection against germs. Don’t forget to buff! Lightly buff nails in a back and forth motion with a finishing block. This will help prep your nails for nail polish. 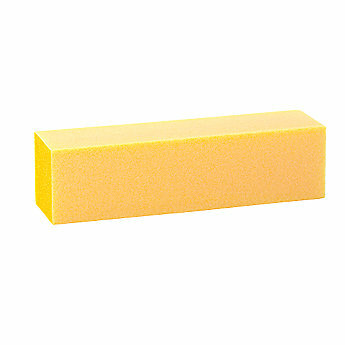 I recommend the All Season Fine Grit Finishing Block because it has a light abrasive for natural nails. Wear exfoliating gloves and apply a polishing foot scrub to your feet and massage in a circular motion to get rid of any flaky or dry skin. 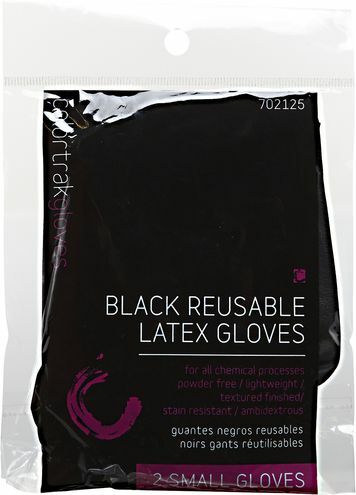 Any exfoliating gloves and polishing scrub will work just fine. I recommend Bath Secrets Exfoliating Gloves and Heel to Toe Exfoliating Polishing Foot Scrub. Even if you don’t have callused feet, you want to apply a callus remover to the areas of your feet that are still a little rough before using a pumice tool. I like to apply the remover just before I start nipping my cuticles so the remover stays on my feet a minute. 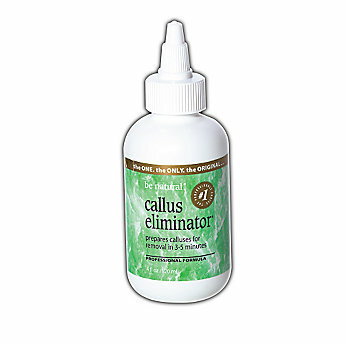 I highly recommend Be Natural Callus Eliminator by American International. This product is amazing and will make your feet baby smooth with little work involved. The directions say to leave it on for 3-5 minutes, but I leave it on for no more than one minute because my feet are not callused, just a little dry in some areas. If you have callused feet, then I would follow the 3-5 minute rule on the directions depending on the severity of your callus. 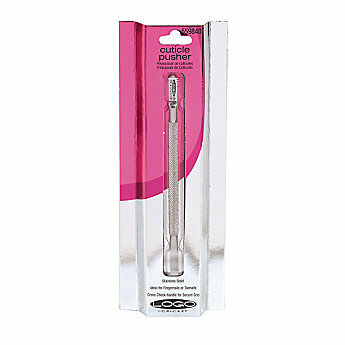 Massage cuticle remover into your nail beds to loosen your cuticles. 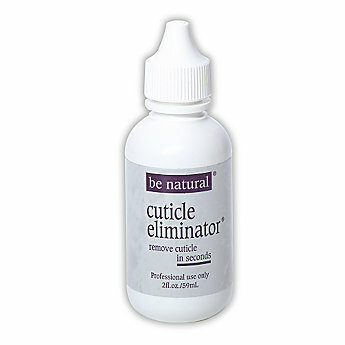 I recommend Be Natural Cuticle Eliminator. 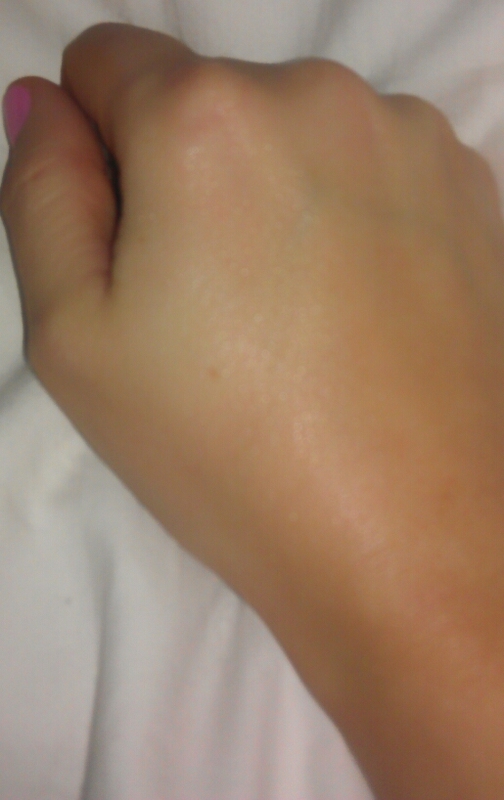 After letting the cuticle remover sit for a few seconds, it is now time to push them back before nipping. I recommend the Cricket Cuticle Pusher. Make sure to hold the pusher at a slight angle and gently push toward the nail base. Now it is time to start nipping away! 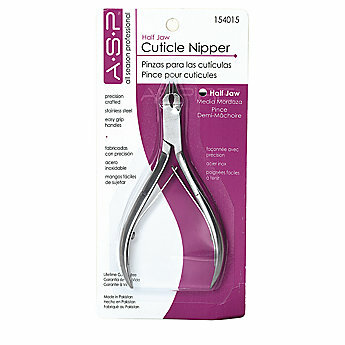 I recommend All Season Cuticle Nipper to safely trim away your cuticles. Lastly with your cuticles, apply cuticle oil. 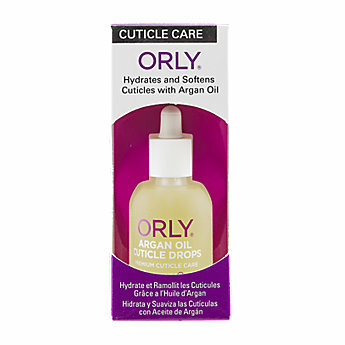 I recommend Orly Argan Oil Cuticle Drops which helps nourish and hydrate cuticles and nails. 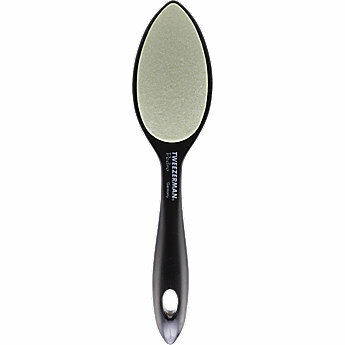 Wipe off the callus remover and start massaging your feet with a pumice stone to make them silky-smooth. 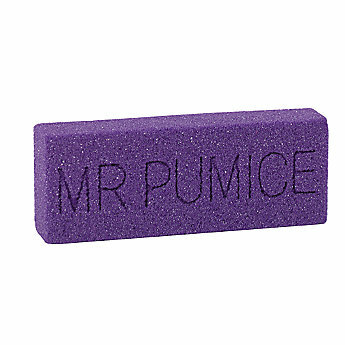 I highly recommend the Tweezerman Pedro Callus Stone or the Mr. Pumice Extra-Coarse Purple Pumi Bar. Both products are amazing and give you the outcome of a professional pedicure. LOVE them! Apply a generous amount of moisturizer in a circular motion. 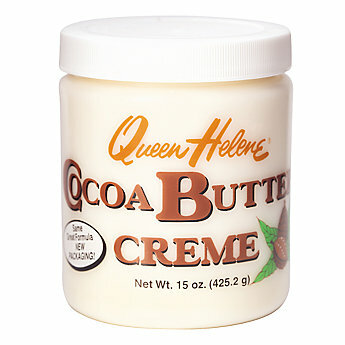 I recommend Queen Helene Cocoa Butter Creme. Before you add color to your freshly pedicured toenails, be sure to remove the oil and moisturizer on your nails really well with nail polish remover. Position a toe separator on each foot to make it easier to paint your toenails. Now you’re ready to apply your favorite nail polish. Apply a clear base coat, two even coats of colored polish (make sure the first is completely dry before applying the second coat), and lastly apply a quick dry top coat. For a clear base coat I recommend Orly Bonder and for a quick dry top coat I highly recommend Orly Sec ‘N Dry. And that is how you give yourself a salon-perfect pedicure at home. All the products mentioned in the blog post can be purchased at Sally Beauty and will last you at least a year, if not longer. Yesterday I made a quick stop into my local Ulta and stumbled across their new self tanning line. 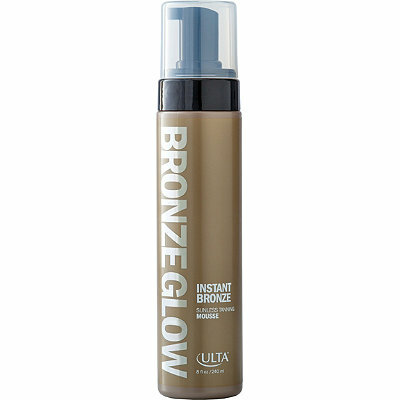 Of course I had to try it out so I purchased Ulta’s Instant Bronze Sunless Tanning Mousse which only cost $12.99 for 8 fluid ounces of product (such a deal). If you like St. Tropez’s Self Tan Bronzing Mousse, you need to get Ulta’s self tanning mousse ASAP! The results are the same, if not better than St. Tropez’s self tanning mousse. 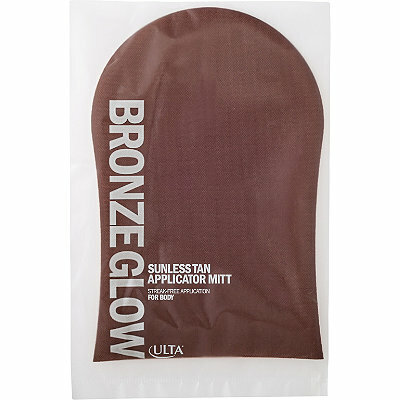 And while you’re at Ulta picking up your amazing self tanning mousse, don’t forget the Ulta Sunless Mitt which is a must have to apply the self tanner. Ulta really did a great job making this product and the price tag just can’t be beat. You apply this self tanner just like the St. Tropez tanning mousse and if you’re unsure on how to apply the mousse for flawless results, click here for my review. I am sure this product will be selling out quickly as it is truly amazing! The new beauty product that is the latest ‘must have’ to hit the beauty market is sleeping facial masks. 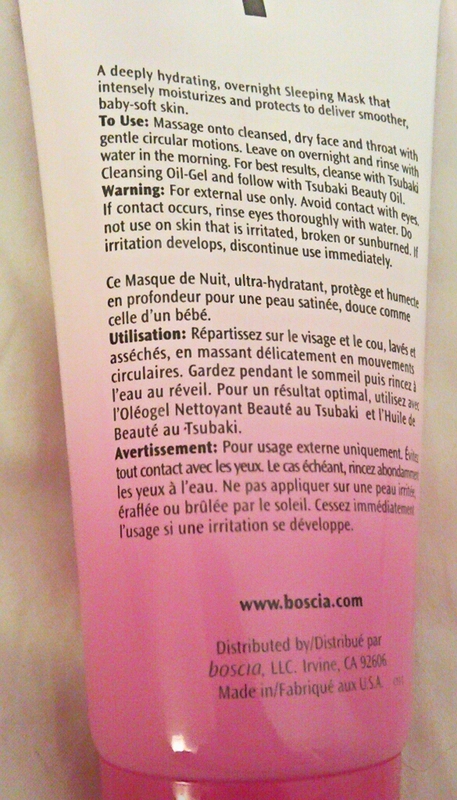 I love face masks so of course I had to try a sleeping mask and I chose Boscia’s Tsubaki Deep Hydration Sleeping Mask to try out first. Tsubaki is from Boscia’s new line and it currently has three products which include the Tsubaki Beauty Oil, Tsubaki Deep Hydration Sleeping Mask, and Tsubaki Cleansing Oil-Gel. I have not tried the Tsubaki Cleansing Oil-Gel, but I have tried the Tsubaki Beauty Oil which I really like. Now, if you don’t live in Asia, you’re probably thinking, “what is Tsubaki oil?” Tsubaki oil is the oil from the camellia flower called Tsubaki in Japanese. Traditionally, tsubaki oil has been used in Asia (particularly in Japan) for hair care. It contains several very good emollients and antioxidant-rich non-fragrant plant oils, an excellent source of fatty and omega 3 acids for your skin, which help dry skin look and feel softer and smoother and it provides serious protection against free radical damage, thus preventing premature signs of aging. Even though Boscia claims this has no artificial fragrance added, it still has quite a strong smell of lavender (after all, it does contain camellia oil). The scent does mostly fade away after time and it didn’t irritate my skin/face at all (keep in mind I do not have sensitive skin and my skin is normal to oily). I don’t like or dislike the scent of lavender in this mask, but if you’re really sensitive to smells, you may not like this product. The texture of this mask is almost like a thick, but runny cream (if that makes any sense) and it soaks right into my skin. Once applied, it has a little bit of a sticky feeling, but it is not bad at all (just make sure you do not apply too much product so that it will all soak into your skin and extra product isn’t sitting on top of the skin, wasting away, and feeling sticky). And that is it; you just go to bed and let the magic happen while you’re sleeping! In the morning, I was really surprised by this product. My face felt really clean and moisturized. Usually I sleep with beauty oil on my skin and when I wake up, my face is still a bit greasy and I can’t wait to wash it, but this sleeping mask had the opposite effect. My face felt so smooth and hydrated without feeling greasy or tight (some facial masks make your face feel really tight). My complexion was clear and glowing; I couldn’t stop looking at it in the mirror… AMAZING! This mask delivers such an intense amount of hydration, and the effects are immediate and rescued my dull winter skin. Overall, I am extremely happy with this sleeping mask and I highly recommend it. Love it! What it is: A deeply-hydrating overnight sleeping mask that intensely moisturizes and protects to deliver long-term anti-aging benefits and smoother, baby-soft skin. This signature, lightweight botanical blend of tsubaki oil (camellia oil), wakame (Japanese sea kelp), and rice bran oil hydrates, smooths, and protects for the appearance of firm, youthful skin. Serine, an amino acid, locks in moisture, ensuring maximum hydration as you sleep. 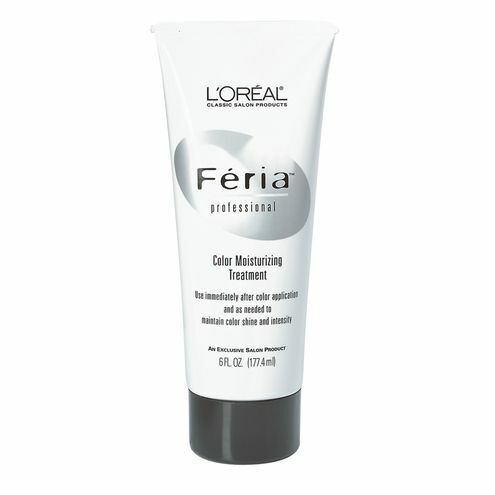 It acts as an anti-aging moisturizer and preps skin for better absorption of products. – Massage onto cleansed, dry face and throat with gentle circular motions. – Leave on overnight and rinse with water in the morning. – For best results, cleanse with Tsubaki Cleansing Oil-Gel and follow with Tsubaki Beauty Oil. Happy Friday my loves. Have a lovely weekend! This weekend while my husband and I were out shopping, we stopped into my local Ulta so I could pick up a few things. I asked my hubs to pick out a nail polish color he liked for my nails and he picked out the color Need a Vacation by Essie. Normally I wouldn’t wear this color as I usually go for really pale pinks, but after painting my nails, the color grew on me and I really like it. 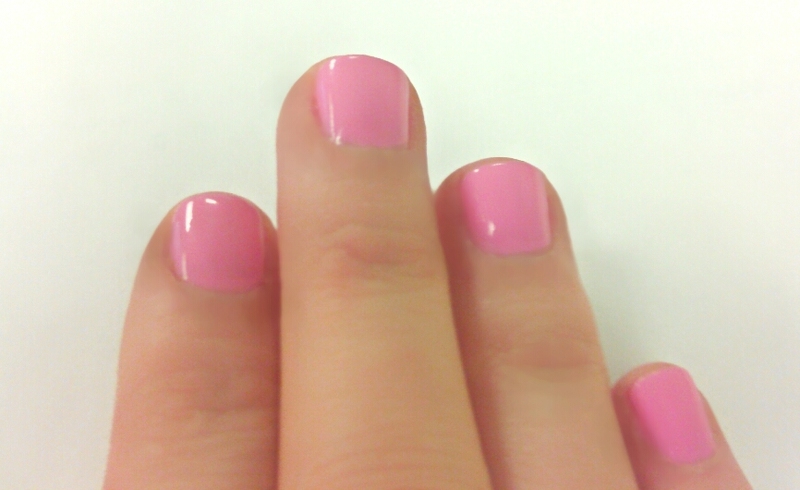 Essie describes the color as a bubble gum pink. And I love the Essie description: “ticket. passport. polish. pack up this bubble gum pink nail color and make a dash for the airport – this gorgeous lacquer is all the wardrobe you need”. All you need is two thick coats and the color is flawless. With this polish, I picked up a new nail product that I am super excited to tell you about and that is Orly Bonder which is a rubberized basecoat. This basecoat prevents nail polish from rubbing off and chipping. Orly claims it will prevent chipping for up to two weeks. I am not sure about that claim, but I am on day 4 of my manicure and my nails are still in perfect condition (usually I have small chips by day 2 of my manicure). This basecoat seemed to give my nails the same effect as a gel manicure and I highly recommend picking up this product and using it each time you paint your nails to prolong your manicures and pedicures. 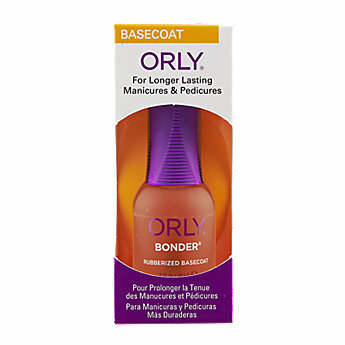 You can purchase Orly Bonder at Sally Beauty or Ulta (I noticed this was much cheaper at Sally Beauty). On top of my nails, I used my favorite top coat which is Orly Sec ‘N Dry which dries all layers of polish quickly. This is by far my favorite top coat and I will not paint my nails without it. 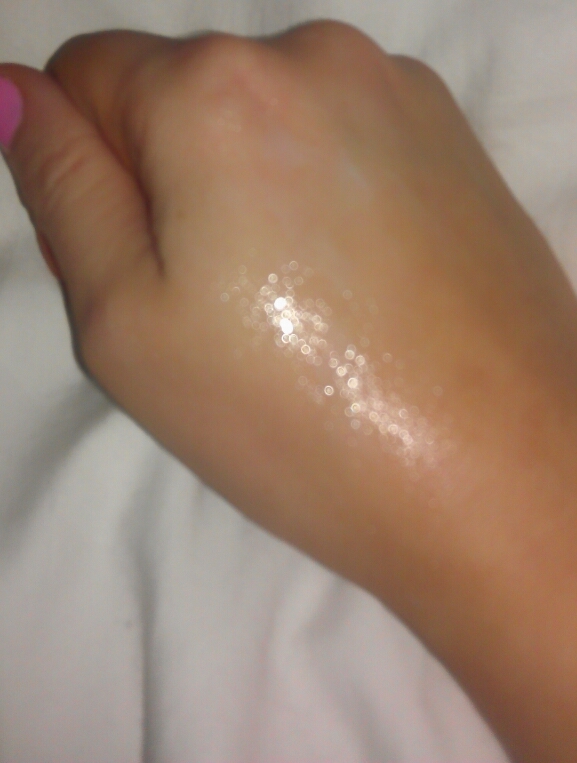 Usually I find top coats to be thick and sticky, but this one goes on like silk and dries my nails within minutes! It is simply the best top coat and I highly recommend it. Happy Monday my Loves… Have a great week! 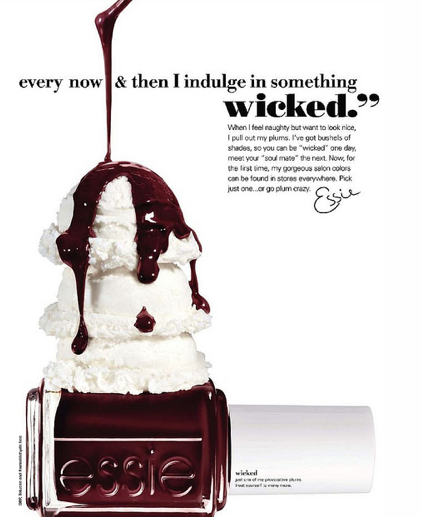 I’m so in love with Essie’s Wicked nail polish! 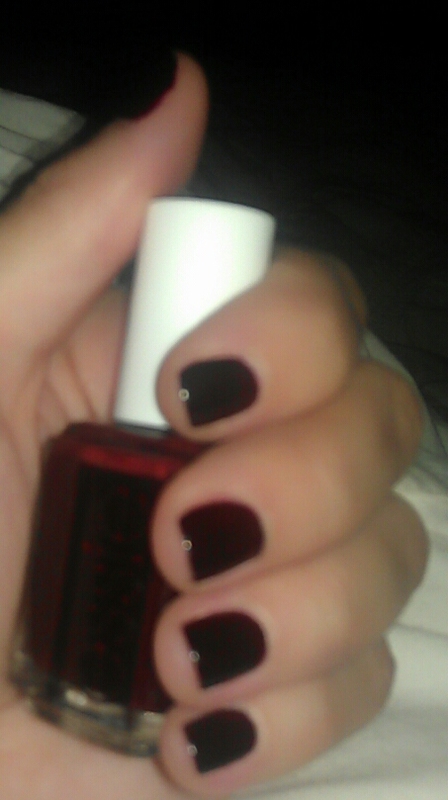 It’s described as a deep and dark creamy sinister red and It’s just perfect for winter. LOVE it!